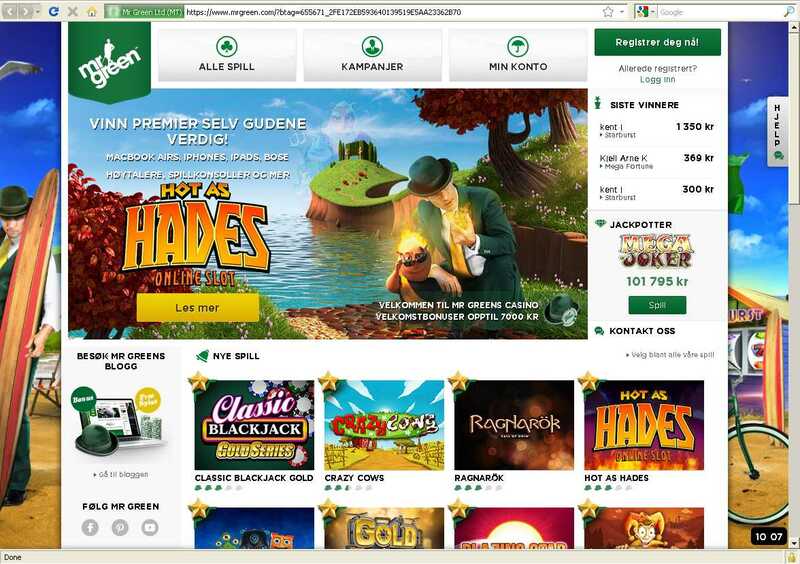 Nachdem bei BGO einige Casino-Spams lang das Lucky247-Casino dran war, wird heute wieder das Mr-Green-Casino beworben, welches uns ja auch schon bekannt ist. Subject: MeinName Excellent welcome package and many games for you to play! Subject: MeinName Feel like a jackpot has your name on it? Welcome Dear player,We would like to recommend you to the award winning online casino Mr Green. Mr Green offers more than 300 games. Everything from Videoslots to Black Jack & Roulette tables. Will you be the next lucky winner at Mr Green Casino?